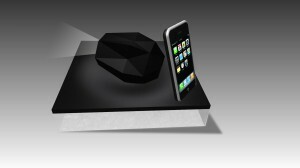 Homojo is a pico-projector associated with an Iphone dock. Its shape, inspired by the Japanese Origami, allows a big freedom of orientation on its different faces without any mechanical piece, making it durable and extremely easy to produce. Questioning the idea of industrial processing in regard of its usages, the projector’s shape serves directly its functions. 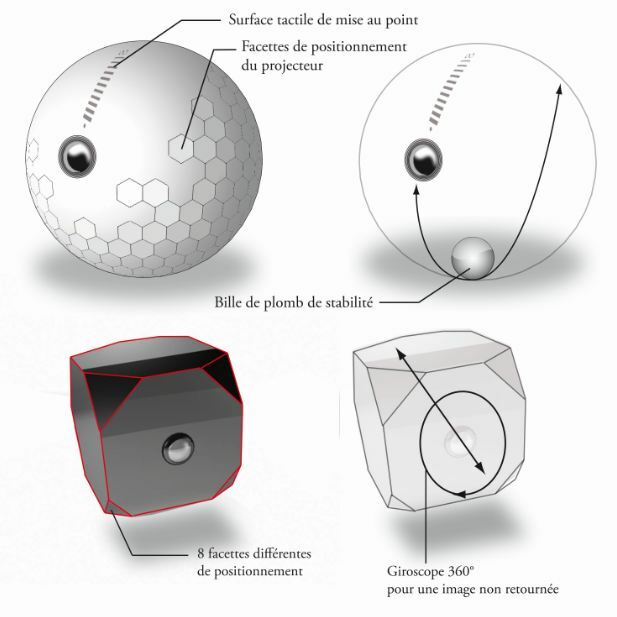 Users have to experiment the object in order to discover all its possibilities. 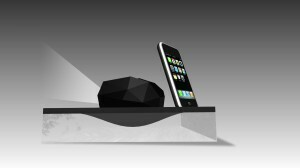 The dock, on another hand, is designed as a podium for the projector, magnifying it as well as allowing numerous positioning possibilities. The black base, finally, holds the speakers, for the best sound distribution.